You won’t be surprised that the Association of Pet Behaviour Counsellors believes that sociable puppies grow into well-behaved dogs. And the confidence puppies gain from socialising at an early age means they can mix well with other pets in a wide range of environments. 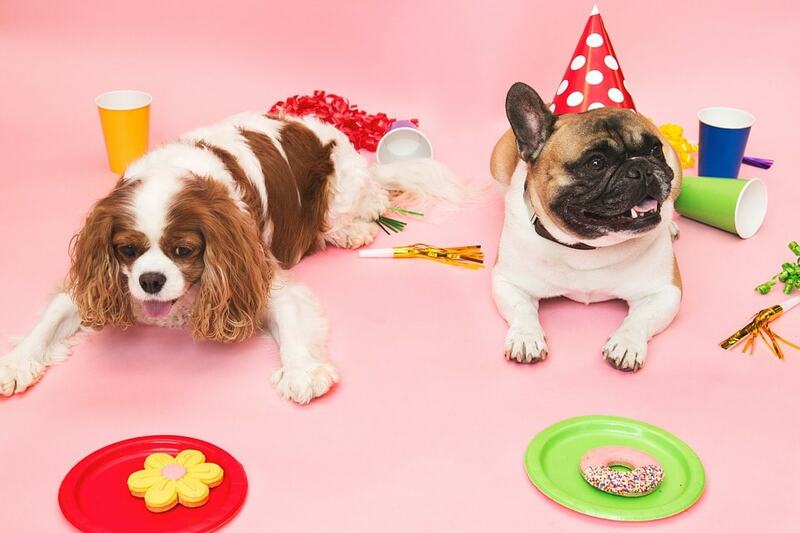 But agreeing puppy play dates can be a challenge for busy owners — that’s why our Puppy Party Pack promotion makes all the arrangements for you. Our Puppy Party Pack sets your pet on the fast-track to fantastic health and development. First vaccine — make sure it’s safe for your puppy to leave the house and start making friends. Flea and worm treatment — keep your pet free from painful parasites. Four weeks free health insurance — pet healthcare problems won’t catch you unprepared. Full health-check — top-to-toe check ensuring your pup’s in perfect health. Access to a bespoke puppy nurse you can trust to provide excellent advice. You and your puppy can relax in the comfortable surroundings at Withy Grove Vets and mingle with fellow pet owners and trusted professionals. It’s the perfect way to mix with knowledgeable staff and pet owners. And it boosts your puppy’s confidence so future vet visits are much less anxious affairs. Our puppy nurse will provide personalised advice on the health and training your puppy needs to develop into a dog that delights friends and family. And you’ll receive the best advice about responsible pet ownership that fits around your lifestyle. We’re sure you and your puppy will love our pet parties — they bring you right to the heart of the Withy Grove Vets community. Our puppy party pack promotion lets you set a firm foundation for lifelong pet health and happiness — grab the opportunity it offers today. Call us today to find out more about our puppy parties, or click here to send us an email.